Quickly enters all the lubrication points and provides easy engine start at low temperatures (up to –30°C). Resistant to ageing, notable for the stable properties by long maintenance intervals (more than 15,000 km of run). 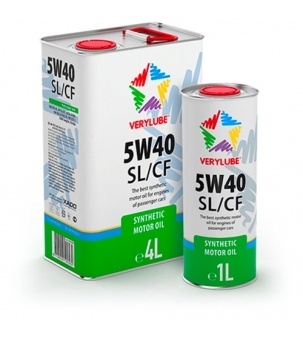 Reliably lubricates friction parts of the engine, creates a solid and stable oil film by cold start and preserves it at high temperatures and under severe operating conditions. Keeps the engine clean and prevents soot and deposits formation. Due to the special viscosity properties, it is an energy-saving oil. Can be mixed with other synthetic and mineral motor oils.